Painters who need solution to carry their brushes nice and safely when they paint outside or carry them from the studio to their class, have to search no more. New brush holder made from durable thick canvas, in dark blue color is now available online. The Rigger Art paint brush holder has 22 deep pockets to carry short and long handle brushes. The holder wrap case has two wide 2 inch pockets a the side of the organizer to carry wide brushes or other painting supplies which do not fit in the thin jacks. See below a quick clip of the new brush holder wrap case, used by painters to keep their desk tidy and as a solution when they paint outside plein air. The holder is also used as a horizontal space to dry the brushes. As you may know they best way to keep watercolor brushes clean is to wash them and leave them to air dry on a flat surface. The wide canvas is a perfect way to place the brushes overnight and to store them without having a mess on the table, and risking the fine tip loosing shape. You are welcome to get the latest Amazon and sale we offer to our Amazon customers. Click here to shop for the brush holder and get it within days. 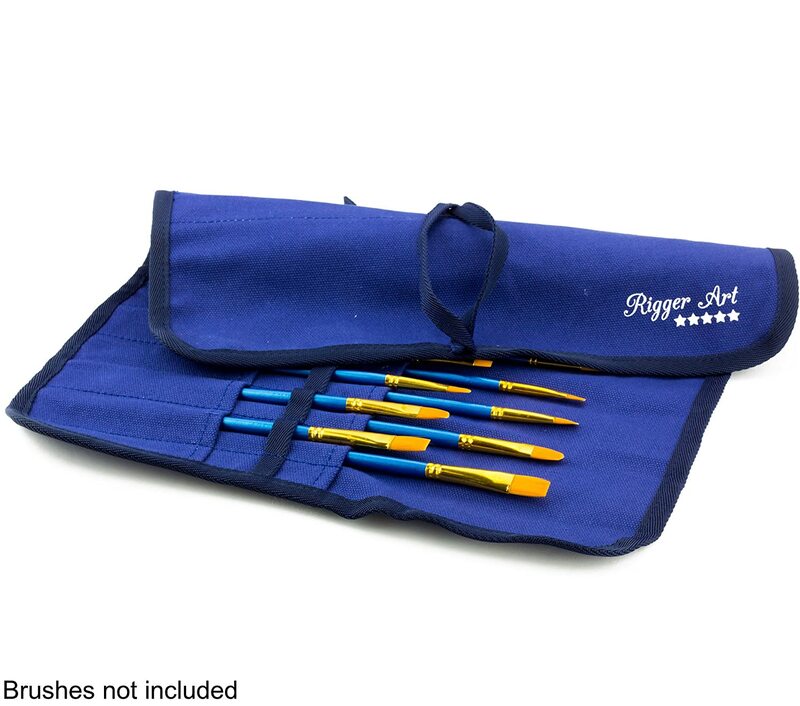 This entry was posted in Paintbrush Holder and tagged Brush Organizer, canvas brush holder, paint brush holder, Paintbrush Holder Case, Paintbrush Organizer by RiggerArts. Bookmark the permalink.